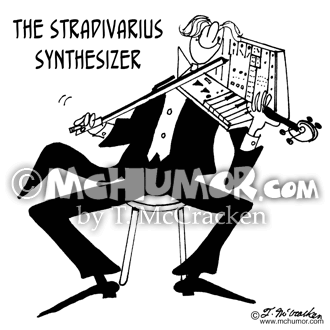 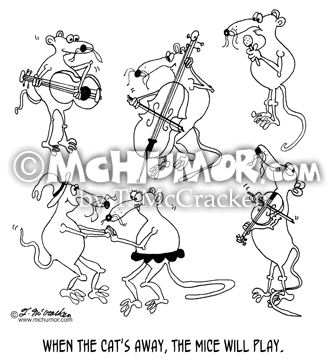 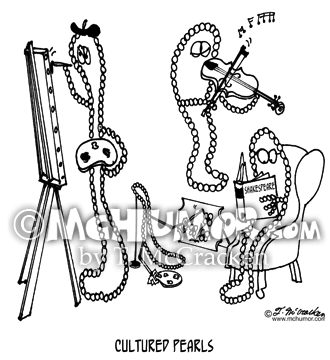 Violin Cartoon 4452: A musician in white tie and tails uses a violin bow to play a gizmo, "The Stradivarius Synthesizer." 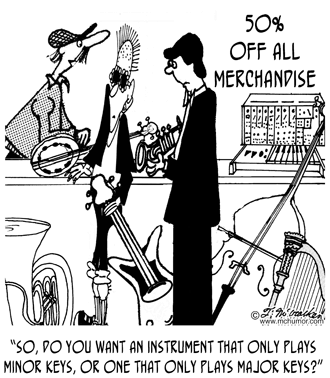 Music Cartoon 7479: A clerk asking a man at music store advertising 50% off all merchandise, "So, do you want an instrument that only plays minor keys, or one that only plays major keys?" 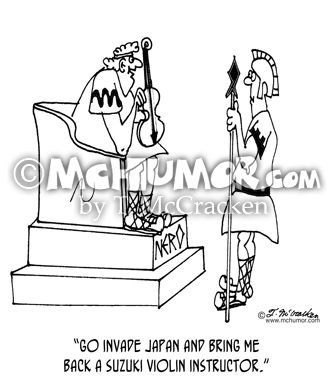 History Cartoon 4228: Nero saying to one of his generals, "Go invade Japan and bring me back a Suzuki violin instructor." 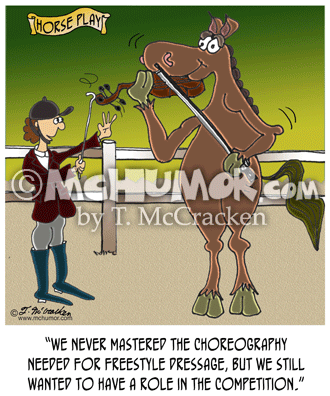 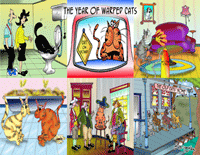 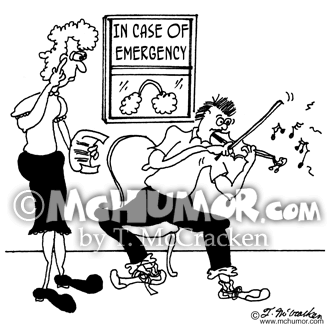 Music Cartoon 5819: Behind glass that says "In Case of Emergency" a music teacher looks at a big set of earplugs. 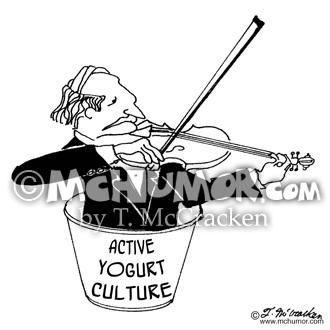 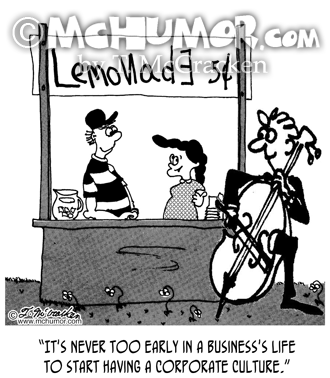 Music Cartoon 8957: A kid running a lemonade stand says of a cellist playing in front, "It's never too early in a business's life to start having a corporate culture." 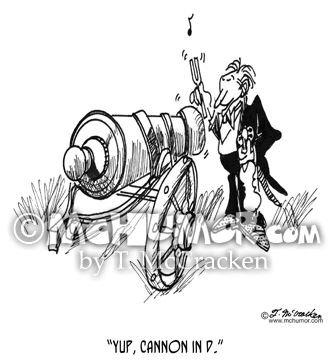 Music Cartoon 1469: A musician in white tie and tails strikes a cannon weapon with a tuning fork and says, "Yup, cannon in D."